Amsterdam, July 25, 2018 — Today, 20 of the world’s leading HIV scientists released a ground-breaking Expert Consensus Statement providing their conclusive opinion on the low-to-no possibility of a person living with HIV transmitting the virus in various situations, including the per-act transmission likelihood, or lack thereof, for different sexual acts. This Statement was further endorsed by the International AIDS Society (IAS), the International Association of Providers of AIDS Care (IAPAC), the Joint United Nations Programme on HIV/AIDS (UNAIDS) and 70 additional experts from 46 countries around the world. The Expert Consensus Statement was written to both assist scientific experts considering individual criminal cases, and also to urge governments and criminal justice system actors to ensure that any application of the criminal law in cases related to HIV is informed by scientific evidence rather than stigma and fear. The Statement was published in the peer-reviewed Journal of the International AIDS Society (JIAS) and launched at a critical moment during the 22nd International AIDS Conference, now underway. We must also never lose sight of the intersectional ways that — due to factors such as race, gender, economic or legal residency status, among others — access to HIV treatment and/or viral load testing, and ability to negotiate condom use are more limited for some people than others. These are also the same people who are less likely to encounter fair treatment in court, within the medical system, or in the media. 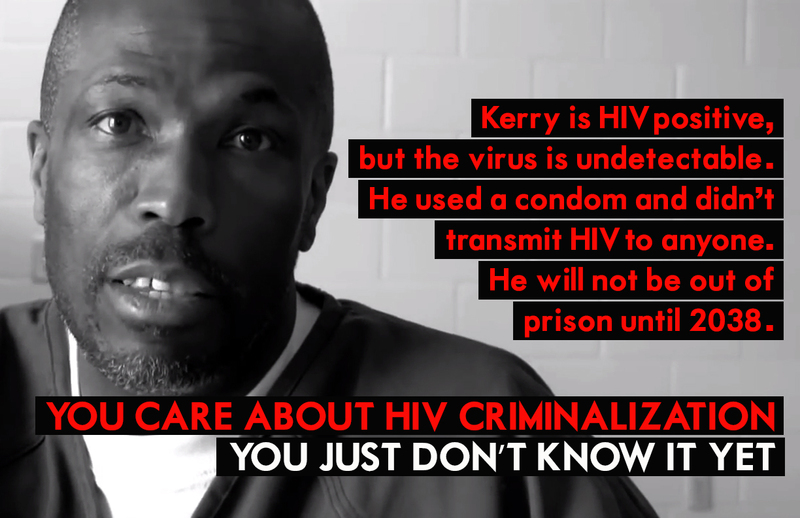 HIV criminalisation is a pervasive illustration of systemic discrimination against people living with HIV who continue to be stigmatised and discriminated against on the basis of their status. We applaud this Statement and hope it will help end HIV criminalisation by challenging all-too-common mis-conceptions about the consequences of living with the virus, and how it is and is not transmitted. It is indeed time to bring science to HIV justice. HIV JUSTICE WORLDWIDE is a growing, global movement to shape the discourse on HIV criminalisation as well as share information and resources, network, build capacity, mobilise advocacy, and cultivate a community of transparency and collaboration. It is run by a Steering Committee of ten partners – AIDS Action Europe, AIDS-Free World, AIDS and Rights Alliance for Southern Africa (ARASA), Canadian HIV/AIDS Legal Network, Global Network of People Living with HIV (GNP+), HIV Justice Network, International Community of Women Living with HIV (ICW), Southern Africa Litigation Centre (SALC), Sero Project, and Positive Women’s Network – USA (PWN-USA) – and currently comprises more than 80 member organisations internationally.